When Friday Night Lights ended back in 2011, all eyes were on what the cast would do next — specifically, what Coach and Mrs. Coach, aka Kyle Chandler and Connie Britton, would choose to do with their careers now that the series was over. Britton's future was made clear the moment she signed onto American Horror Story: other than a handful of movie roles here or there, the woman best known as Tami Taylor was meant for the small screen. Chandler's career path, though, wasn't quite as predictable as his TV wife's. Now, though, he's returning to TV. 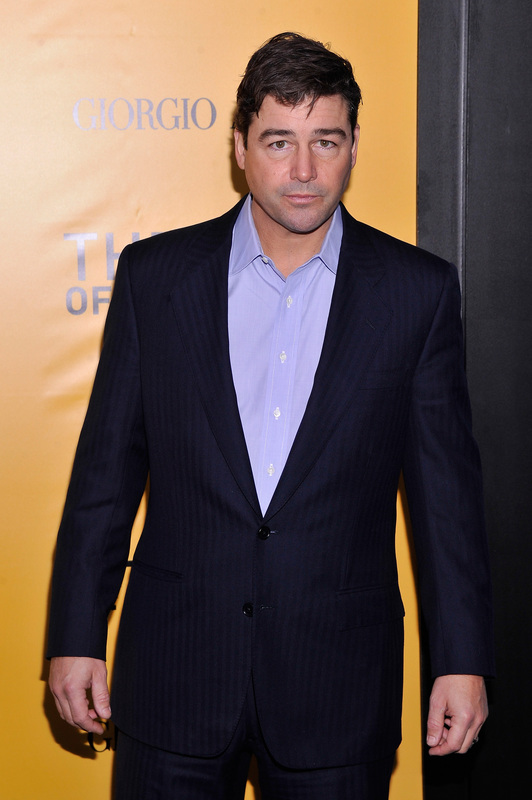 Kyle Chandler will star in a new Netflix show. Since the FNL finale, Chandler has appeared solely in films, but not in the leading man parts everyone expected the Emmy-winning actor to get. Instead, he's made a career out of small but memorable supporting roles, showing up in movies like Argo, Zero Dark Thirty, and, most recently, The Wolf of Wall Street . Yet as good as Chandler is in these films, it's been disappointing to see that he's relegated to friend-of or father-of or, more often than not, government employee-of, when clearly, he's qualified to take on bigger roles. Finally, though, it looks like fans aren't the only ones who've realized this; Chandler's turn in this new Netflix thriller, which, if successful, will surely propel him to the type of leading-man status FNL fans have always believed he could have. While we're thrilled at the news, it does prompt one question: does Chandler have a comedic bone in his body? Since the end of Friday Night Lights (a drama), Chandler has appeared in thrillers (Super 8, Argo) crime dramas (Broken City) and other heavy films (Zero Dark Thirty, The Spectacular Now). His lightest role? Playing an FBI officer in The Wolf of Wall Street. There's at least one non-FNL funny Kyle Chandler moment: his scenes in The Wolf of Wall Street. Playing an FBI officer tasked with taking out a huge operation usually isn't fodder for comedy, but Chandler's WoWS scenes were some of the movie's funniest. When warning Belfort (Leonardo DiCaprio) about the consequences of fraud, Chandler's faces are priceless.